We're Pat & Mahlia, a husband & wife Wedding, Engagement, Anniversary Photography & Videography team. We're based outside Nashville TN but we absolutely love to travel! 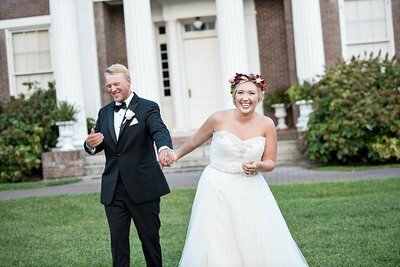 We have captured weddings throughout Tennessee as well as in Montana, Florida, & Oregon! We are blessed to be a part of our couples' lives and have fun with them during their wedding adventures! Y’all, Western Kentucky’s college campus is absolutely gorgeous!! And these two are absolute perfection! We had such a wonderful time walking throughout the university they attended together. 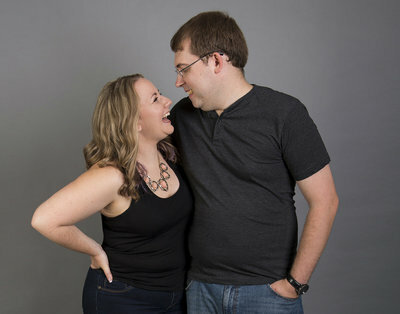 The couple first met at Briarwood Elementary, working as after-school program staff. How unique and philanthropic is the way that they first connected? We absolutely adore these two and their personalities, we shared many laughs as we strolled the campus and found several iconic and beautiful spots throughout the land. Like so many of our sweet couples, these two are both a part of their schools Greek system, Tabitha is in a sorority, Kappa Delta, & Derrick is a fraternity brother with Pi Kappa Alpha. There adorable dog, Eli (aka Golden Nugget, Nuggie Bear, da big boy”, Man Child — Yeah, this dog is pretty loved to have so many adorable nicknames!! ), might have stolen the show a bit. Every person who we walked past was immediately drawn to him. But, really, how could they not be?! Is he not the cutest thing ever? Hopefully he’ll make a guest appearance at their wedding in Bowling Green this September at Historic Potter Farm. These are beautiful! Love how her red pops! Oh their puppy is sooo cute! Their dog is the absolute cutest! Beautiful light you had! What a georgous couple on a stunning campus! The light at Western Kentucky U was incredible! Love love love Eli!!! Great work, they look so happy and in love <3!!!! I know, their dog is the best, right Ashton?! These are gorgeous!! Love the lighting and the colors and the pup! Thank you Jill we had so much fun with this couple. I seriously love everything about this session!! The light, the couple, THE PUPPY!! These belong in a magazine!!! So cute! And love that puppy!!! Aww, you are too sweet Misty!!! I love your use of color. Vivid photos are the best. That pup is adorable, but not as sweet as that couple. Great work. So beautiful! I just love their sweet pup! Great work!!! Is your Venue on our Bucket List? take a look!